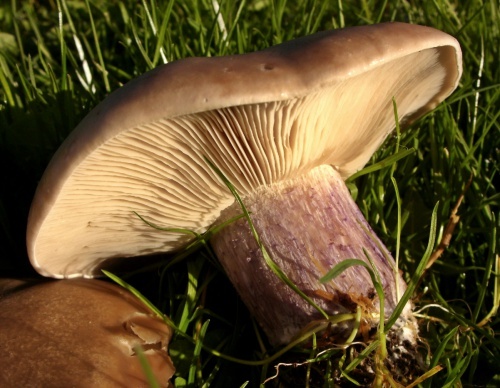 The Field Blewit, is less common than its close relative the Wood Blewit, and differs in having a cap coloured greyish brown rather than violet even when young. 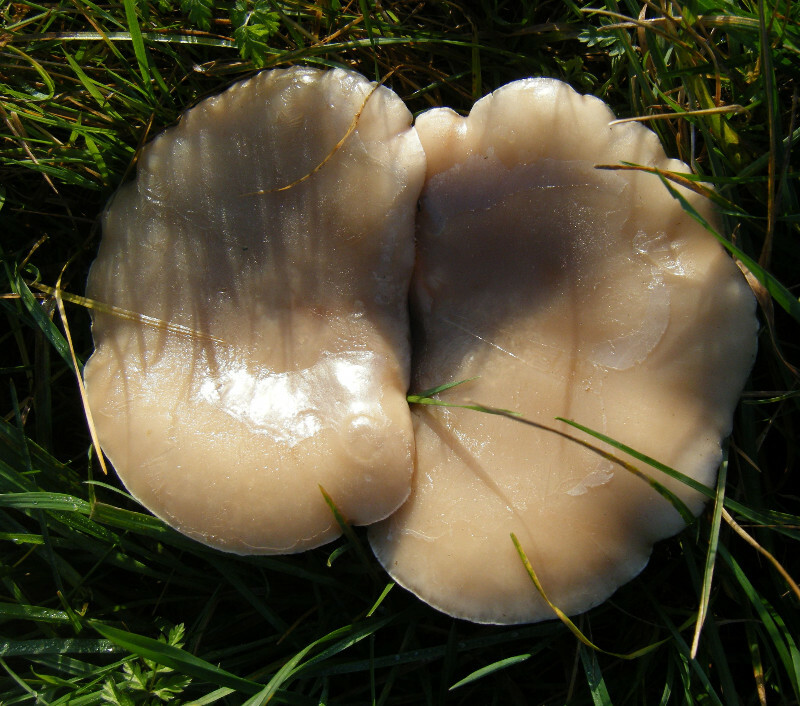 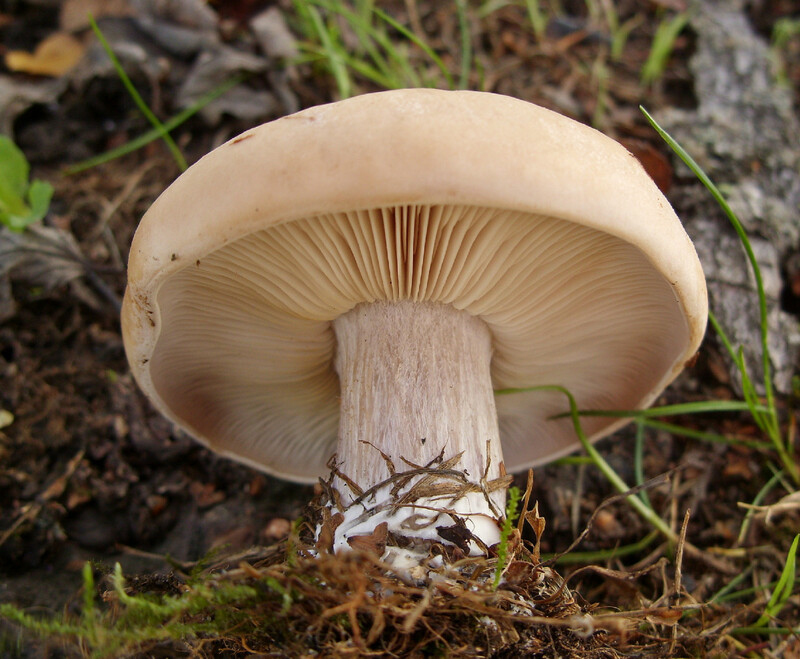 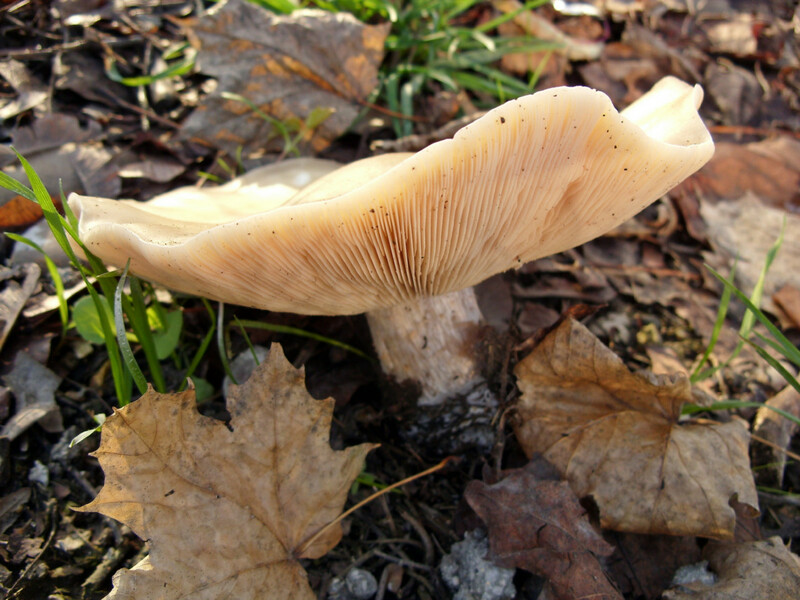 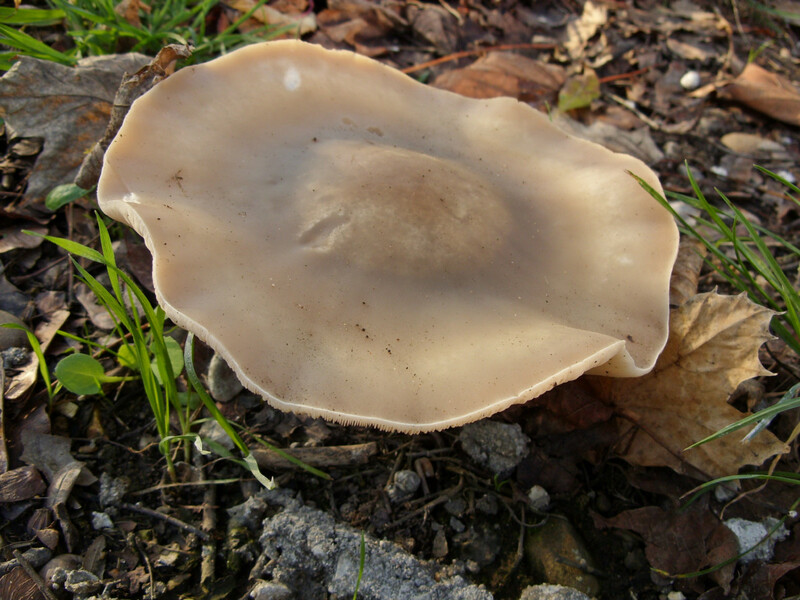 The smooth cap, up to 12 cm in diameter, is a deep creamy colour, and is usually domed but older specimens sometimes become slightly concave. The gills are almost white when young, turning pinkish buff as the fruitbody matures. 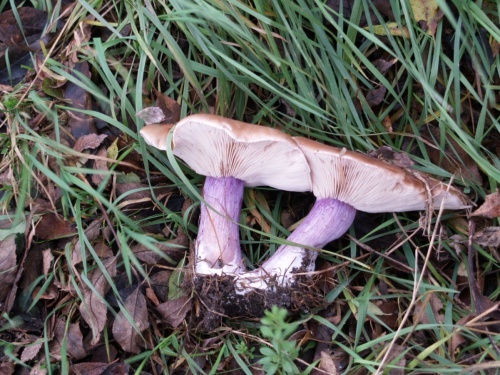 The stipe (stem) often has a strong violet tint and can be slightly bulbous at the base. 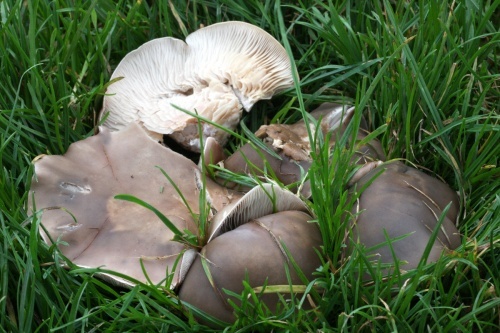 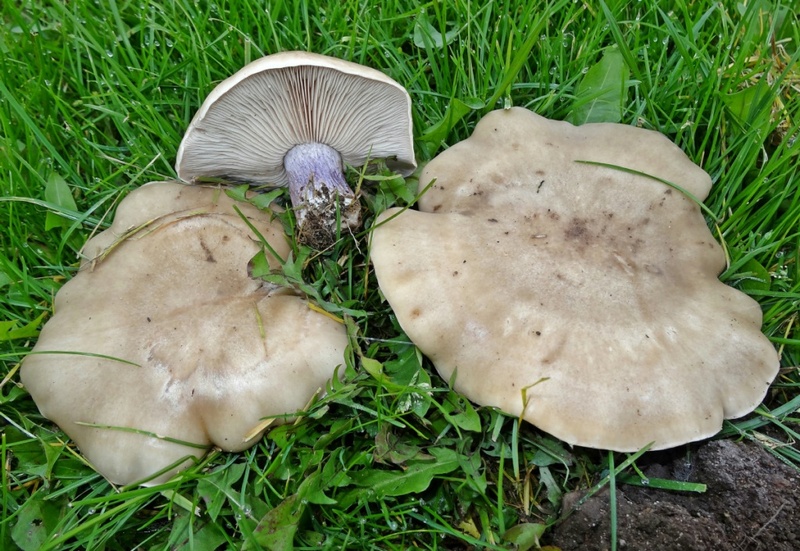 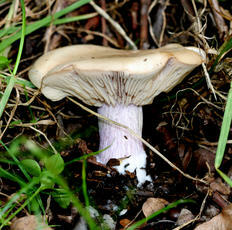 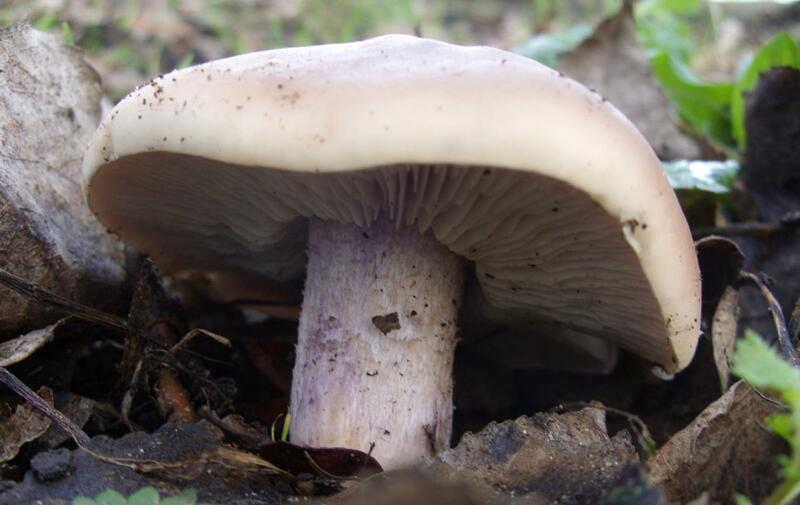 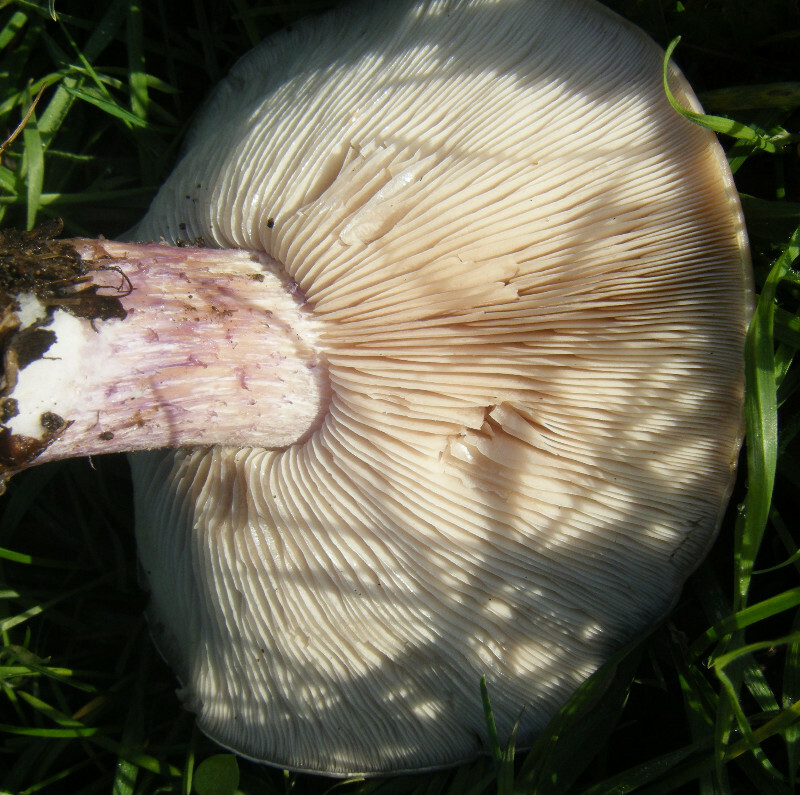 The beige cap distinguished it from the Wood Blewit - both have lilac stipes. 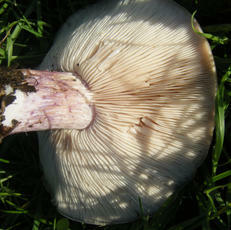 Grassland, especially on chalk or limestone. 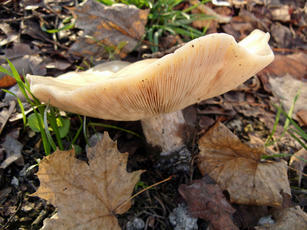 Most plentiful from September to January. 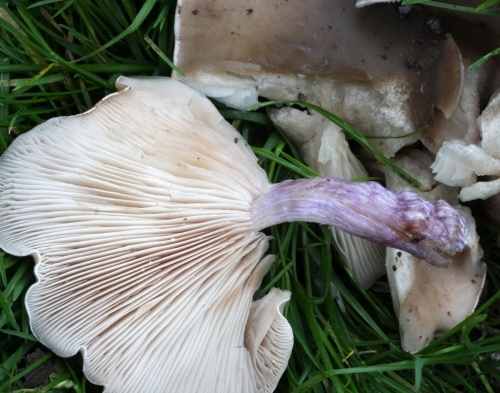 Widespread and fairly frequent in Britain except in the extreme north, however it is not as common as the related Wood Blewit.